Our Brand New GSD Puppy, King! We have a new baby boy!! 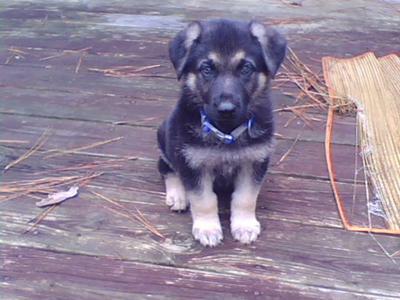 He is our first gsd. He is so sweet. His name is King!! We live him so much. He is our first big dog that we are training. It seems like it will be a great time as a family!! His play mate will be my miniture tea cup yorki. They just love each other. Right now he is only 7 weeks old so they are pretty close in size. He will out grow her in a matter of days I'm sure.